The DJI Spark is an attempt to appeal to the masses, a drone that is more of a camera that just happens to fly than anything. Its compact size and ease of use made it popular for many first time pilots, as well as those looking for a drone with a trick up its sleeve. For those looking to up their selfie game, literally, the DJI Spark can be flown by hand gestures alone, making it cool and functional. In all honesty, there are less expensive drones on the market. However, when it comes to the world-class services, software and more of the top drone manufacturer out there today, Spark is half the price of their next viable drone. You’re looking at a $499 starting point and a Fly More combo at $549. Update: We’re seeing the Spark for as low as $285 and $450 these days, be sure to watch for deals. We feel we need to keep justifying the price because, in our humble opinion, it is a tad over-priced to be a clear bang for the buck winner. Don’t get us wrong, what you get for your dollar is top notch and DJI continually adds new value to their machines. 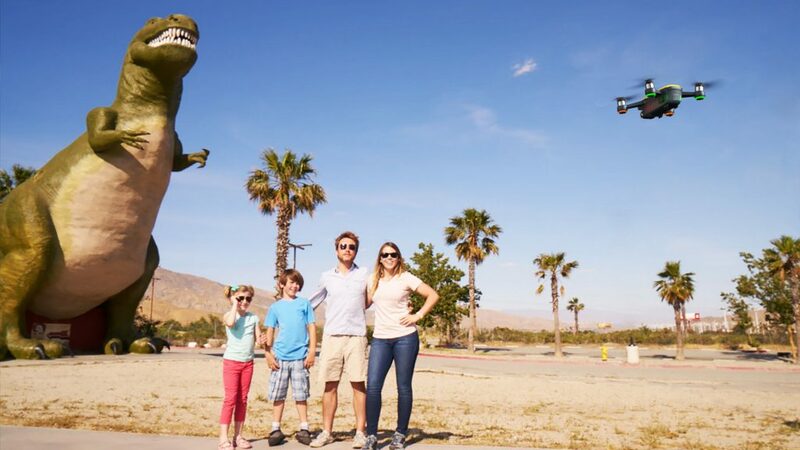 Spark is a smart drone purchase, and my thought is that for a twenty percent price cut it could be a runaway success. Perhaps the most impressive feature of the DJI Spark is the versatility in control options. From the top down you can fly by remote control, fly by mobile device or even fly by hand gestures alone. We’ll talk about playing Jedi later. The option to fly by mobile or remote make Spark a potential travel companion for nearly anyone, no matter where they are headed. The remote offers the best and most capable flight controls, use that in conjunction with your mobile device for the full feature set. If you leave the remote at home, your phone will put the drone into the air to a limited range, and with less responsive controls, but it’s one less thing you have to carry. 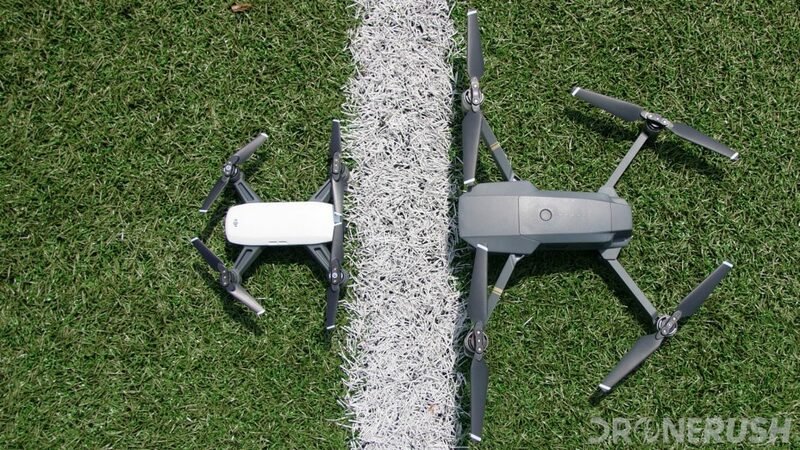 The topic of needing a remote control aside, the DJI Spark comes with folding propellers, like tiny versions of those for the Mavic Pro. 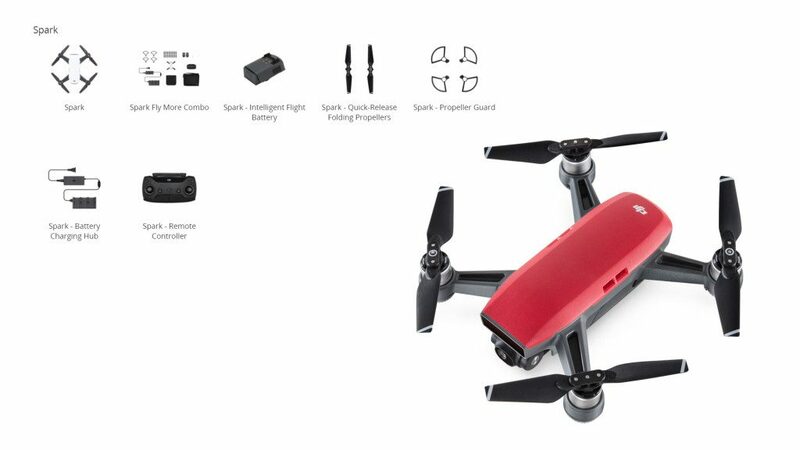 With props folded in, Spark nearly fits in your pocket. It also weighs so little that you’ll not be burdened to carry it along. The carrying box is a handy thing, it easily slips into a bag and acts as a nice launch pad as well. When we talked about price, we talked about the value behind the brand. DJI is a trusted and experienced drone manufacturer, Spark takes advantage of the expertise and services available. 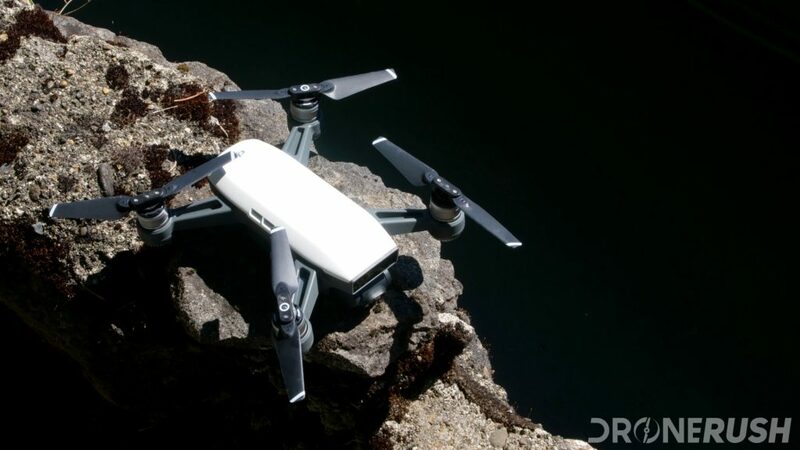 If past DJI products are any indication, DJI will support Spark for a while and will continually add new features through software updates or physical accessories. DJI’s product may be the machines, but they seem to understand that our product is the amazing photos and video that we capture from the sky. 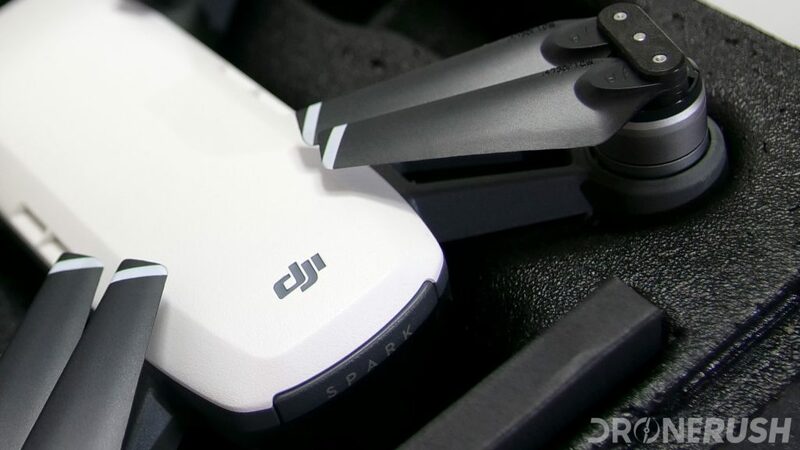 Straight from launch, DJI made sure to have a good selection of important accessories available for the Spark. The Fly More combo comes with an extra battery, charging hub, prop guards and more. We were able to order and receive extra propellers without delay. Extra propellers are always good to have. While the Spark drone is not exactly user serviceable, what bits you can safely change at home you can find parts for from DJI. 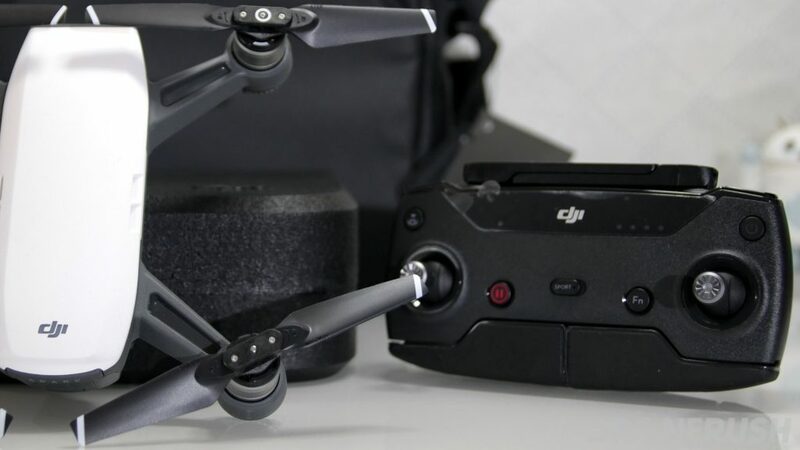 DJI knows what the hardest part of drone operation is, actually piloting the craft. Introduced with the Spark is a suite of new autonomous flight modes, available to every Spark pilot in a couple taps of the mobile app. Rocket, Dronie, Circle and Helix emulate the most popular video capture flight techniques, all self-flying so you can look like a pro without, necessarily being a pro. For all of those that want to play Jedi master, the DJI Spark is a drone that will help you look the part. When flown by hand, Spark recognizes your face and your hand, just hold your hand up, palm to the drone with your thumb pulled in and the Spark will follow your direction. Waving, emulating a box and holding a hand out allow you to do everything from take off to land all by hand. The cool factor of the DJI Spark is, perhaps, the best marketable feature of this drone. 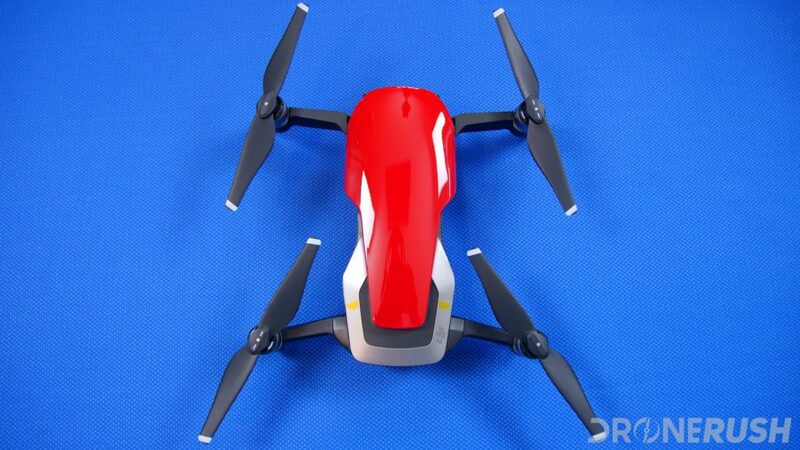 It is a capable flying machine and fun little drone, but the gesture controls and self-flying capabilities are what really makes the difference. There is plenty to like about the DJI Spark, be sure to hit us up in the comments to let us know what is your favorite. There is a simple truth about the DJI Spark, it is outdone by the DJI Mavic Air. The newer Mavic Air is just as compact for transportation, but larger when unfolded, it’s faster, stronger, flies longer and has a better camera. Not to mention the rear facing obstacle avoidance sensors and expanded Quickshot features. There is a trade-off, the Mavic Air is twice the price. We think the Mavic Air is by far the better drone, particularly for those looking for the better camera. Check out the DJI Mavic Air for $694 for the drone alone, bump up to the DJI Mavic Air Fly More combo for $895. Initial retail price of $799 and $999.